Crown provides two processes to enhance the efficiency and profitability of ethanol plants by adding equipment either before or after the ethanol fermentation process. 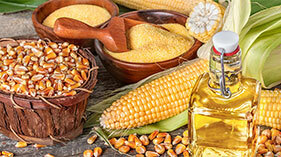 Corn fractionation is the process of separating the germ and bran from the starch so that these products can be sold as value-added products and not end up as part of the starch fermentation process. The germ can be separated again to remove the oil by adding Crown’s solvent extraction and oil refining technologies to convert the germ into two additional premium products: animal feed and edible oil. A typical kernel contains 4% oil that can be sold as food-grade oil, which has more value than crude oil. Biodiesel pretreatment is the process of taking the crude oil extracted from the back end of a dry-grind ethanol process and making it suitable for use in a biodiesel plant because the quality of this crude oil is typically lower than what most biodiesel plants need. 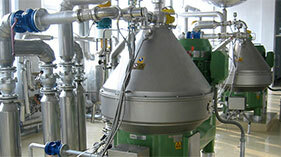 Some biodiesel plants have already decided to add this pretreatment equipment at the same location as the biodiesel plant. Others have no current pretreatment capability and will need to buy properly pretreated oil.